Grill, boil, cook and charge with this fully integrated system! Generate electricity and create smokeless wood flames with the award winning CampStove 2. 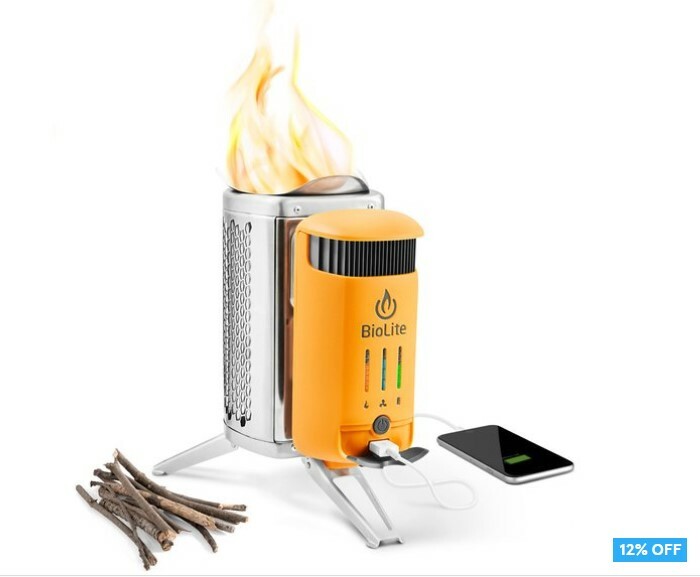 Offering 50% more power, an integrated battery, and an updated LED dashboard for improved control and feedback – this complete camping device is fully compatible with the KettlePot & Portable Grill for total cooking power. A complete woodfired camp kitchen on the go!